Things aren't going so well lately in the litigation department for Merck, which stands accused of lying according to not just one, but two class-action lawsuits. In the first case, two former Merck virologists accuse their former employer of overstating the effectiveness of the mumps vaccine in Merck's combination MMR shot, which may have cost the US government hundreds of millions of dollars over the past decadei. "... Stephen Krahling and Joan Wlochowski were Merck virologists who claim in their unsealed complaint that they "witnessed firsthand the improper testing and data falsification in which Merck engaged to artificially inflate the vaccine's efficacy findings." ... As the largest single purchaser of childhood vaccines (accounting for more than 50 percent of all vaccine purchases), the United States is by far the largest financial victim of Merck's fraud," according to the 2010 False Claims Act complaint." "Merck--which stressed that none of these allegations relate to the safety of its product--said the lawsuit is "completely without merit", and that it plans to "vigorously defend itself." It's quite interesting to note the chosen language in Merck's rebuttal. It in no way addresses the issue of the vaccine's effectiveness, which is the core issue of the lawsuit and the allegation by the two former Merck employees that the drug company purposefully used improper testing methods and falsified data to make the mumps vaccine appear highly effective when the opposite was true. Instead, Merck responds by saying that none of the lawsuit's allegations relate to the safety of its products. Such evasive maneuvering certainly gives the appearance of an admission of guilt. "Merck has known for a decade that its mumps vaccine is "far less effective" than it tells the government, and it falsified test results and sold millions of doses of "questionable efficacy," flooding and monopolizing the market, a primary caregiver claims in a federal antitrust class action. Merck is the only manufacturer licensed by the FDA to sell the mumps vaccine in United States, and if it could not show that the vaccine was 95 percent effective, it risked losing its lucrative monopoly... That's why Merck found it critically important to keep claiming such a high efficacy rate, the complaint states. And, Chatom claims, that's why Merck went to great lengths, including "manipulating its test procedures and falsifying the test results," to prop up the bogus figure, though it knew that the attenuated virus from which it created the vaccine had been altered over the years during the manufacturing process, and that the quality of the vaccine had degraded as a result." According to these two lawsuits, Merck began a sham testing program in the late 1990's to hide the declining efficacy of the vaccine. The objective of the fraudulent trials was to "report efficacy of 95 percent or higher regardless of the vaccine's true efficacy." This program was initially referred to as "Protocol 007," the Chatom claim states, and instead of testing the vaccine's efficacy against a wild mumps virus, as is the norm, Merck used its own attenuated strain of the virus—the identical strain with which the children were being vaccinated! That's as brilliant as it is devious, and a perfect example of how medical research can be manipulated to achieve desired results. Suzanne Humphries recently wrote an excellent summary for GreenMedInfo.com, explaining in layman's terms how the tests were manipulated (see Sources). The two virologists bringing the lawsuit against Merck claim they witnessed firsthand this deception and were asked to directly participate in it. "That "subverted" the purpose of the testing regime, "which was to measure the vaccine's ability to provide protection against a disease-causing mumps virus that a child would actually face in real life. The end result of this deviation ... was that Merck's test overstated the vaccine's effectiveness," Chatom claims. 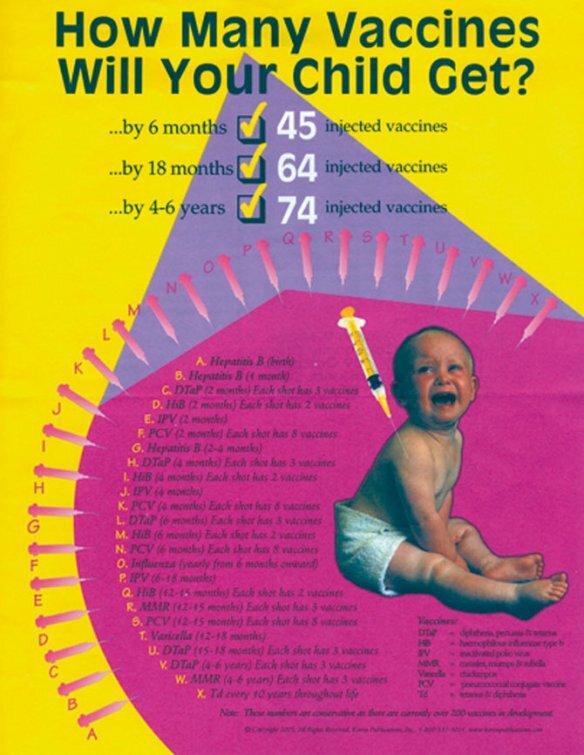 Merck also added animal antibodies to blood samples to achieve more favorable test results, though it knew that the human immune system would never produce such antibodies, and that the antibodies created a laboratory testing scenario that "did not in any way correspond to, correlate with, or represent real life ... virus neutralization in vaccinated people," according to the complaint. Chatom claims that the falsification of test results occurred "with the knowledge, authority and approval of Merck's senior management." Interestingly, Forbes stated that this case gives "vaccine foes" new ammunition for their argument that drug companies are more interested in money than protecting consumers' health. And rightfully so. While I do not advocate indiscriminately abstaining from all vaccines—I strongly advise and encourage exercising due diligence because vaccines can cause serious reactions that can have such devastating consequences. I believe in informed consent and the freedom to choose. There can be little doubt anymore that drug companies are in it for the profits, and virtually no price seems too high for them when it comes to protecting their profit-making. I've written extensively about the many criminal and ethical wrongdoings of Big Pharma, and this is certainly not the first shocking allegation of pharmaceutical product manufacturing fraud that involves launching or keeping an inferior and/or dangerous product on the market. While vaccine makers often claim there's not a lot of profit to be had in vaccines, you have to remember that vaccine patents do not expire like drugs do. Vaccines continue to make profits as long as they're in use, so risk of future losses due to competition is virtually nonexistent. So of course there's profit in vaccines—especially once it's placed on the childhood vaccination schedule because that guarantees the vaccine will have a stable, guaranteed annual market as a new cohort of babies are born every year. And of course vaccine makers will protect those huge profits—even, apparently, when it means putting children's health at risk. There is also the issue of immunity from prosecution. Merck lost many billions when their drug, Vioxx, killed tens of thousands of people and was taken off the market in 2004. If any of their vaccines killed similar numbers, or even more, they would not be held liable in damages for a single cent because Congress and the U.S. Supreme Court have completely shielded big drug companies like Merck from civil liability for vaccine injuries and deaths. Also you need to remember that IF a vaccine is indeed highly effective, and avoiding the disease in question is worth the risk of the potential side effects from the vaccine, then it could be said that the benefits outweigh the risks. However, if the vaccine is ineffective (and/or the disease doesn't pose a great threat to begin with), then the vaccine may pose an unacceptable risk... At the very least, an ineffective vaccine will certainly skew the benefit to risk ratio toward greater risk, unless the vaccine is guaranteed harmless, and this, I'm afraid, cannot be said for the MMR. This, I believe, is one of the most important points to remember in this discussion. It's not so much about determining whether or not the reduced effectiveness of this vaccine allowed the mumps outbreaks of 2006 and 2009 to occur, both of which occurred in highly vaccinated communities, but rather it's a question of: "Have millions of children taken an unnecessary health risk by being injected with an ineffective vaccine?"